Organizing successes & wins for our super size family. 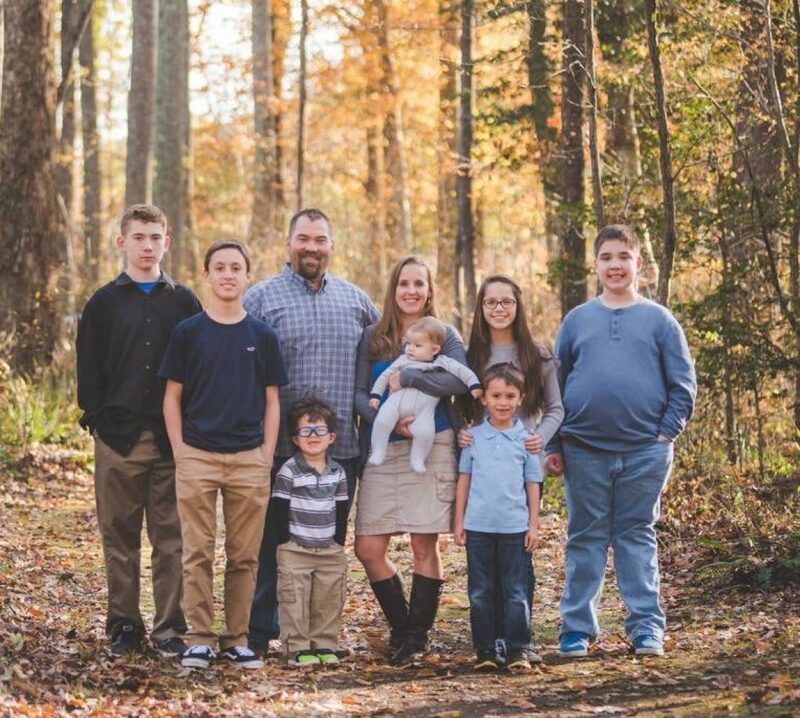 Keeping a home with our family of 8 (plus a grandmother) running comes with its fair share of challenges. So as we are about to take on another busy school year I will share some of the organization successes and wins that we have experienced over the last few years. The color system, this is something my mom did with me and my brothers growing up and has been a huge success with our crew. Each child has a color, this goes for theirs cups, tooth brushes, towels, anything that can be done in their color. 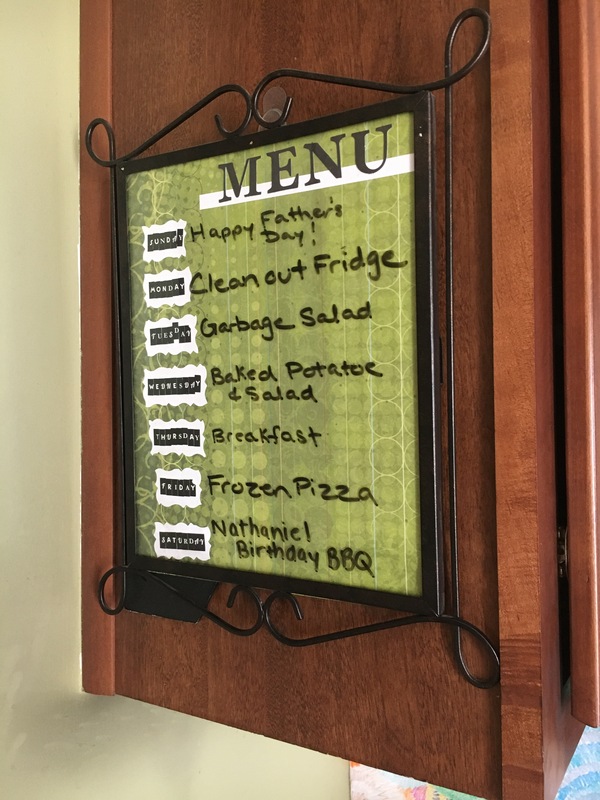 It helps the kids to know what is theirs and makes it much easier for us to keep track of many daily items. Joshua is green, Tyler is blue, Emily is pink or purple (since she is the only girl this works), Noah is yellow, Richard is red and Nathaniel is orange. Lockers in the garage have been amazing. We started off with the white plywood ones from Lowes but these did not last and were very expensive, so last year we found some metal lockers at Ollie’s and they are fabulous. 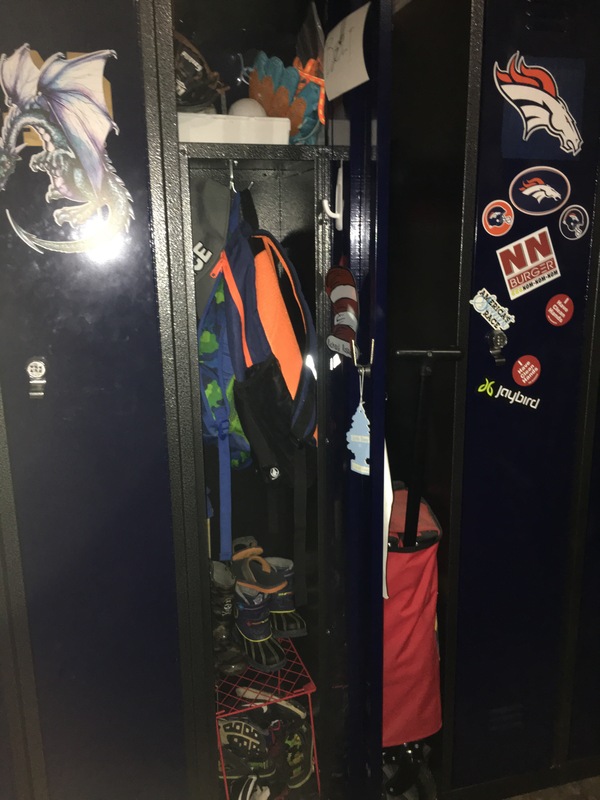 The kids have a place to keep their shoes, book bags, coats, sporting supplies and anything else they want. 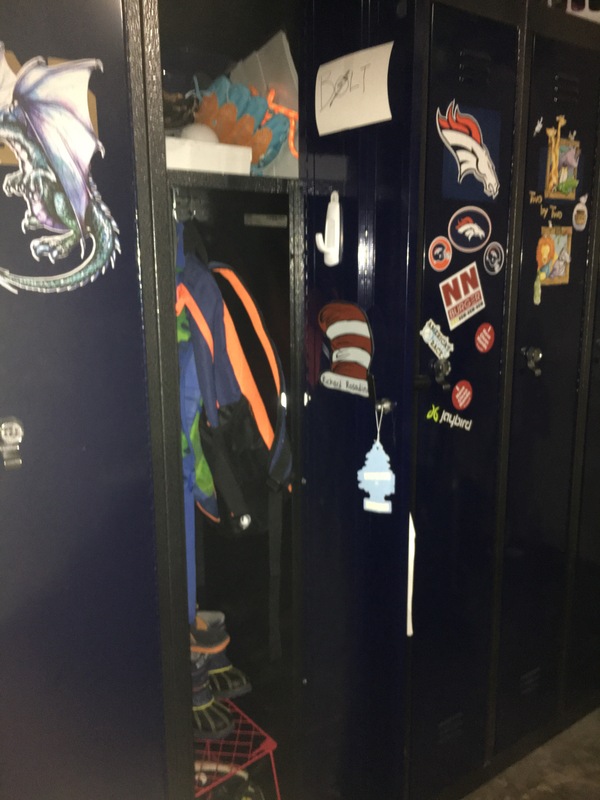 They were allowed to personalize their lockers with stickers. I cannot imagine the chaos we would have if they did not have this space to put their belongings. These kids would be lost without these! Cubbies downstairs, these functioned for a while. We are actually in the process of phasing these out and taking on a room swap that is turning out to be a complete disaster! 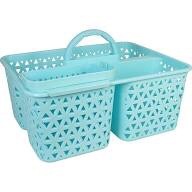 The cubbies are downs stairs and the kids rooms are upstairs so instead of using this for storage of books or things they would be using daily it has become a catch all for things they do not feel like bringing to their room. The big idea with these was a charging station and storage for their electronic devices. We stand firm in no phones, tablets or electronics are to be brought upstairs. These devices are limited in use and must be used in the main spaces downstairs where everyone is. 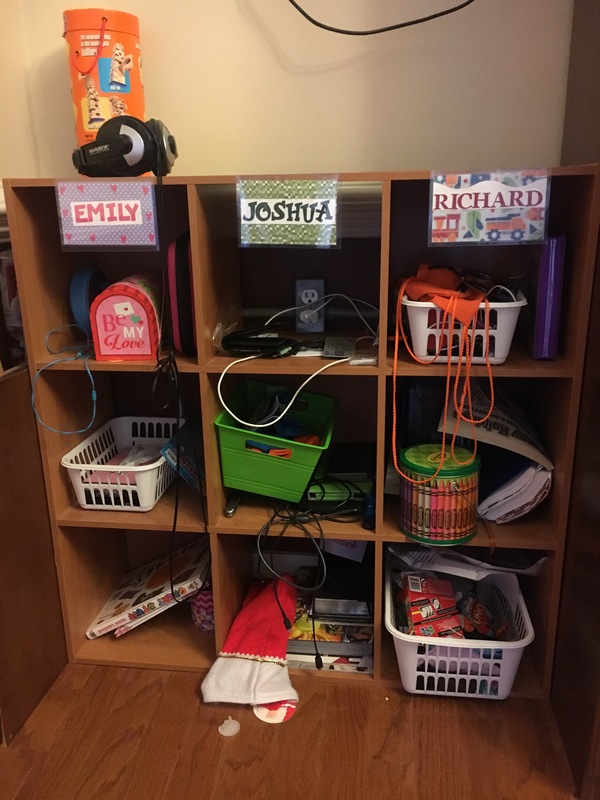 So while we are going to get rid of the cubbies my husband will make a small shelve with 6 slots to use strictly for a charging station so their devices remain downstairs. 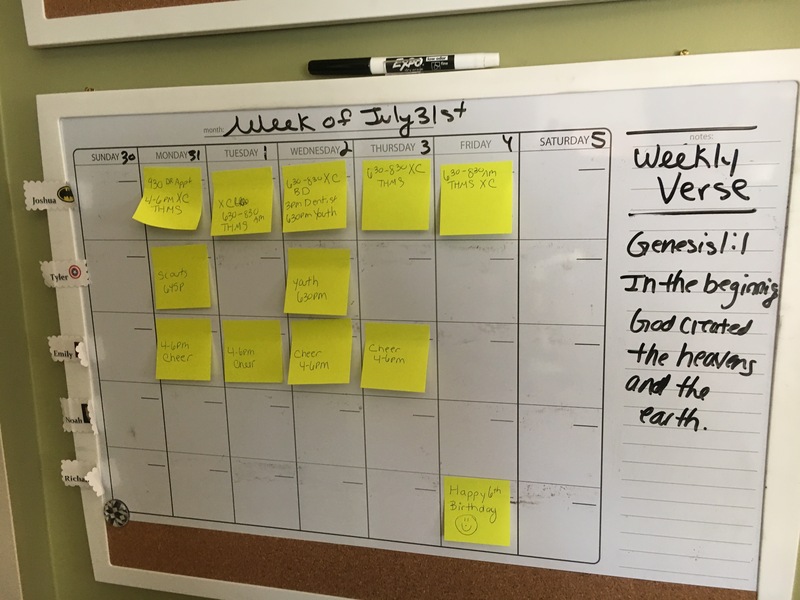 Weekly calendar- we have been using this for a while now, I think I started this about a year ago actually. This is awesome! There is a row for ‘family’ for our family activities and events and then each person has their row. I update this every Saturday and then everyone can see what the week will bring. I used dry erase boards and put post it notes, I tried just writing in the squares with dry erase marker but that did not work very well. The kids have really come to rely on this being there. Next to the weekly calendar we have a plastic tray and in the tray if a folder for each member of the family. This is used for kids to put papers in that need to be signed, trying to avoid being handed 15 different things the moment we walk in the door. And then once the paper for school or whatever it may be is signed, we will put it in the child’s folder and it is their responsibility to check and get it out. Menu plan- This is a must. We have used this for years, or the most part we stay consistent with using this. Not quite as good at using the menu planning over the summer while we are so off routine. On the weekend my husband and I will meal plan and then grocery shop based off of the meal plan. It is a piece of paper in a frame and I write in dry erase marker. The kids love being able to look and see what meals are what nights seem to love knowing this information. It is amusing when at times we do not have what is written on the menu, oh the looks of shock on their faces! 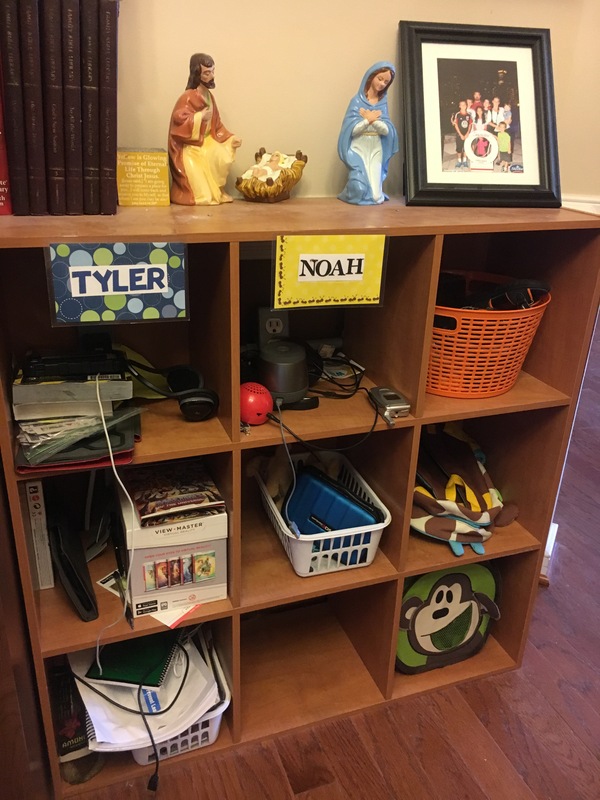 This last organizational success is not used by my family directly but by me for keeping our family organized. This has truly been a game changer for me. 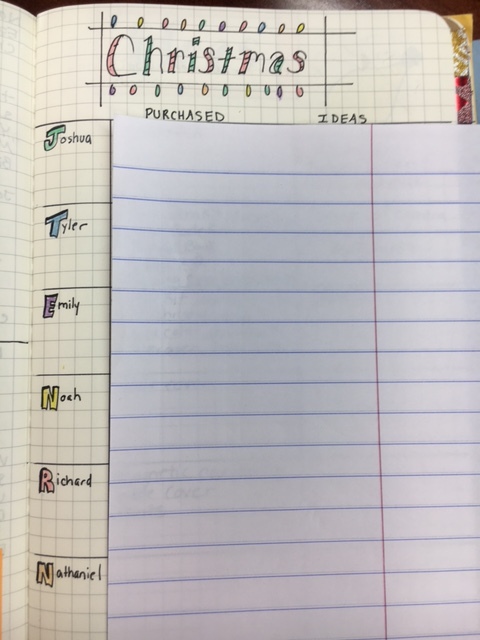 I used to struggle with journal confusion and my husband would even tease me frequently because I was constantly getting a new notebook to try something different. 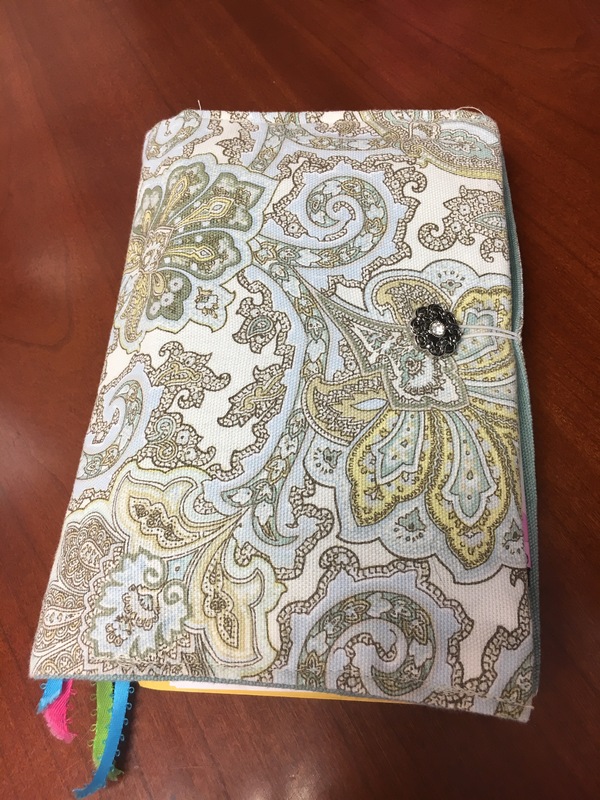 I had a prayer journal and I would have a journal for taking sermon notes, I had my electronic and paper calendar and planner along with some form of running to do lists. At times it felt like I was trying to juggle six different notebooks. Juggling so many notebooks was complicated and caused more confusion than helping keep me organized. 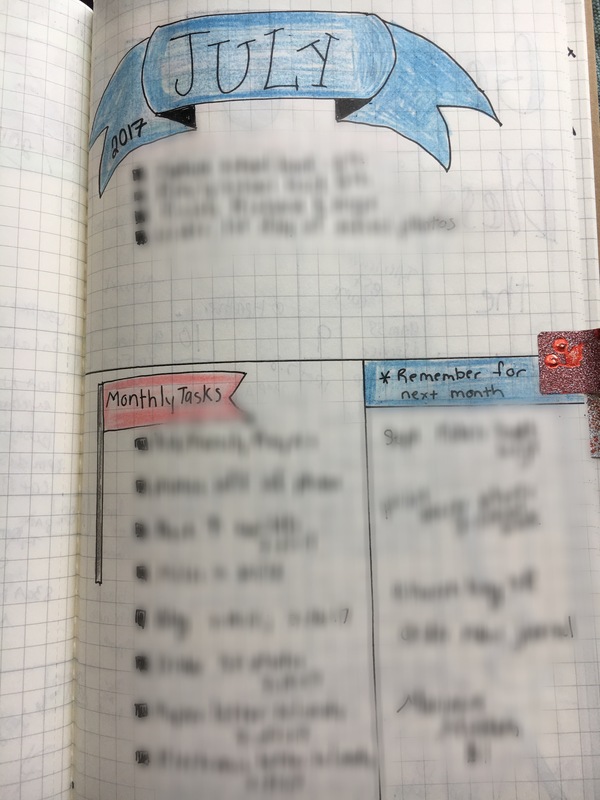 About two years ago the bullet journal concept was all over the internet and that caught my attention. 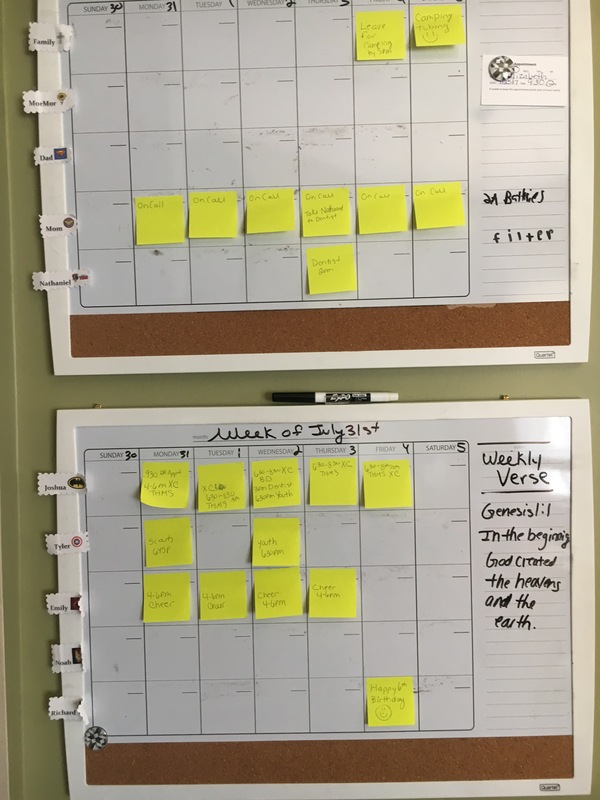 After doing some exploring and ‘pintresting’ thus began my journey and evolving of building my own organizational system that has worked so well for me. I started with one notebook. I had ongoing prayers and running lists in the back. A yearly calendar in the front. 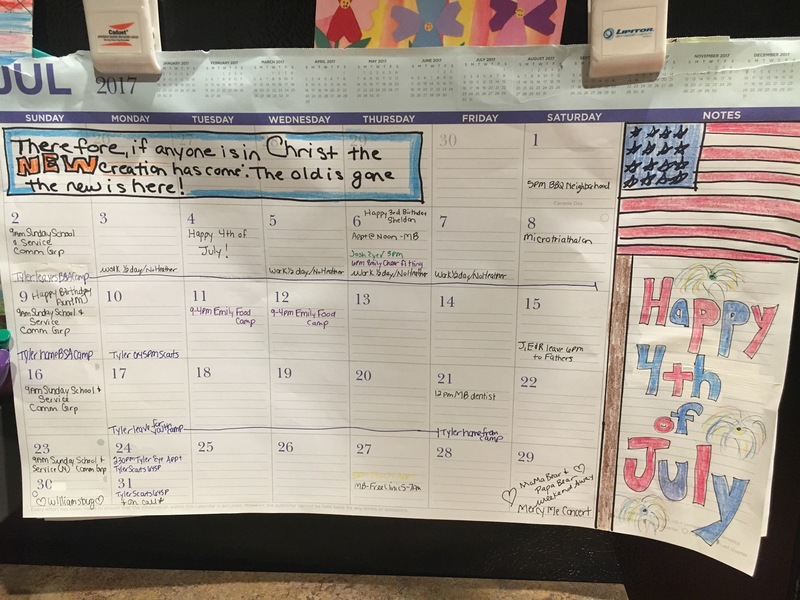 And the after the yearly calendar I would do my months, weeks and days, sermon notes and daily prayers as I went. It was awesome! To have everything condensed into one flowing journal. I fine tuned this system and fell in love with the Leuchtturm1917 leather bound notebook. This was by far the best journal I found. 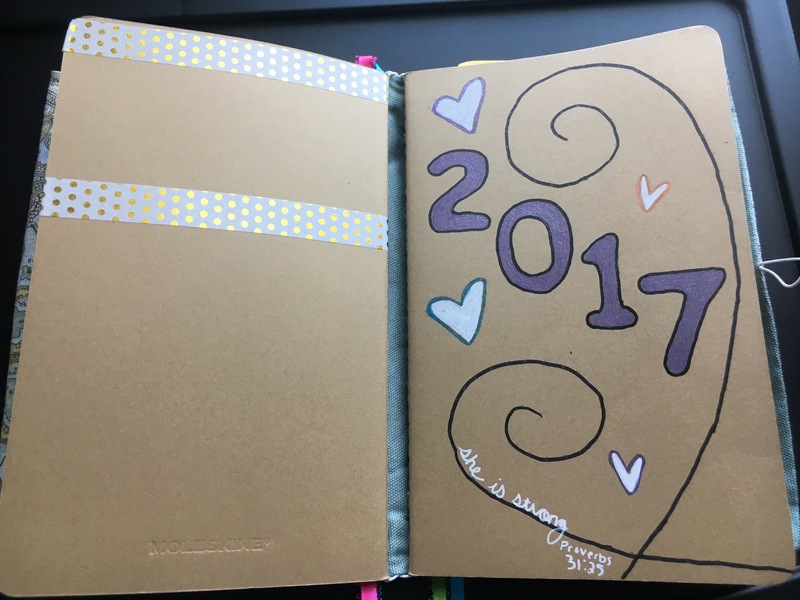 I loved it so much and used it so consistently I started filling up one journal every 3 months! 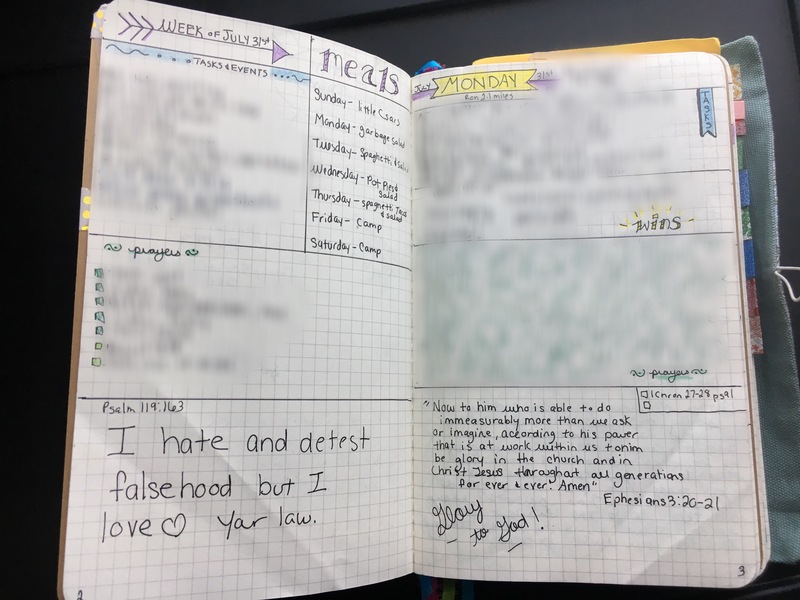 So having to change journals so frequently was becoming a chore because I would need to transfer my yearly information into each new journal to continue with my system that was working so well. So several weeks ago I transitioned and transformed to a similar and updated version of what I was already using. I bought a 3 pack of the small moleskin notebooks and made a slipcover for them out of fabric. 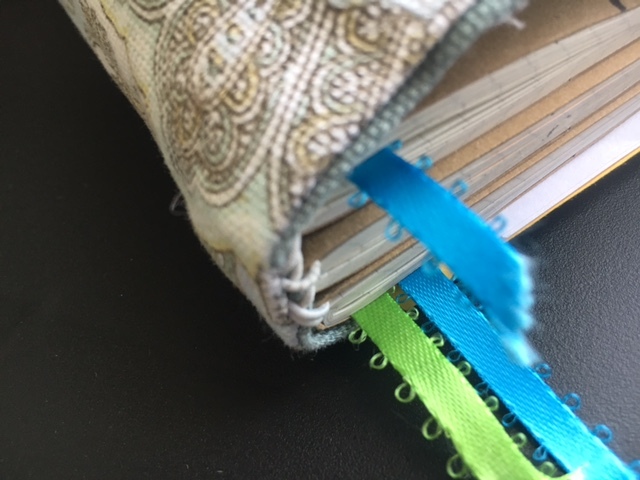 There are elastic bands holding the 3 notebooks in place like binding in a book. I attached ribbons in the moleskins to use as place holders. I made a pocket in the front pocket for pens and then another pocket for post it notes and little papers I am needing to keep with or hang onto. (I always keep a thank you card with me, just in case I need it). The first notebook I use for my weekly/daily. I have a list of tasks and events for the week, our meal plan, prayer requests from our loved ones, friends and church family, and a weekly verse to study/memorize. 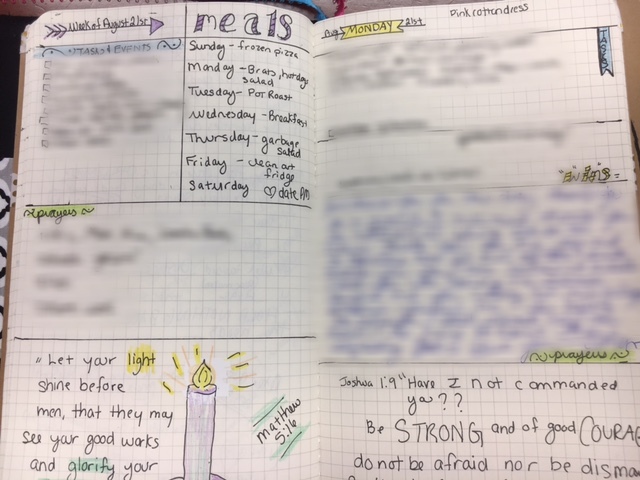 Then I keep a page for each day with tasks/events, I log my miles, write out a daily prayer, keep track of my ‘wins’ for the day to help focus on the positives and write out the daily verse. 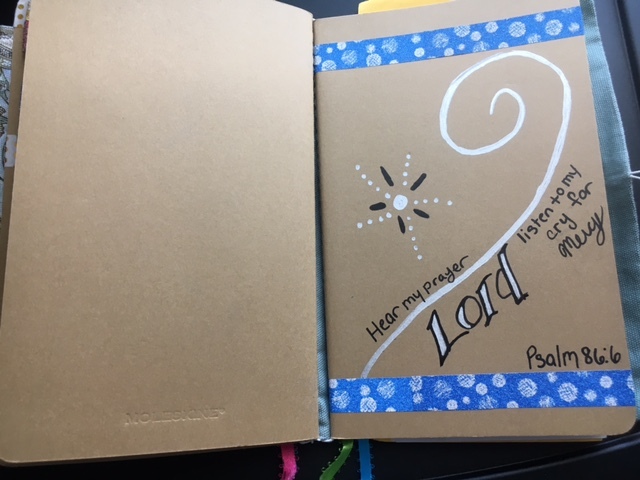 I keep two pages a week for writing out the prayers that I have written down prayer request for, writing them out helps keep me on track with actually praying over these requests. I also like to tape and save any movie stubs or little momentoes I want to save as well. This is the notebook that will be replaced every few months, it fills up quick! 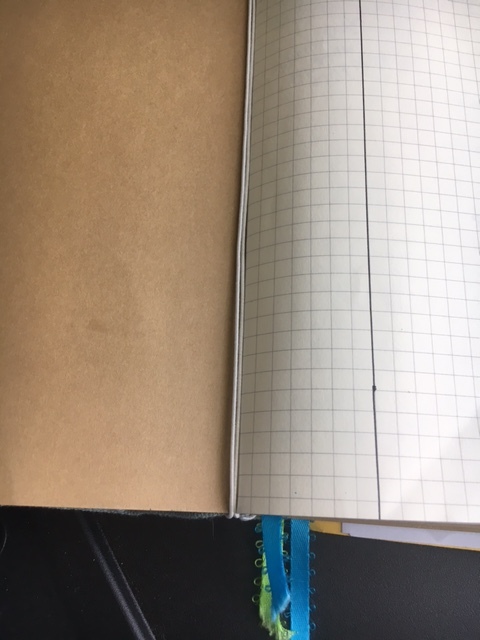 The second notebook is my yearly book, it is my constant. 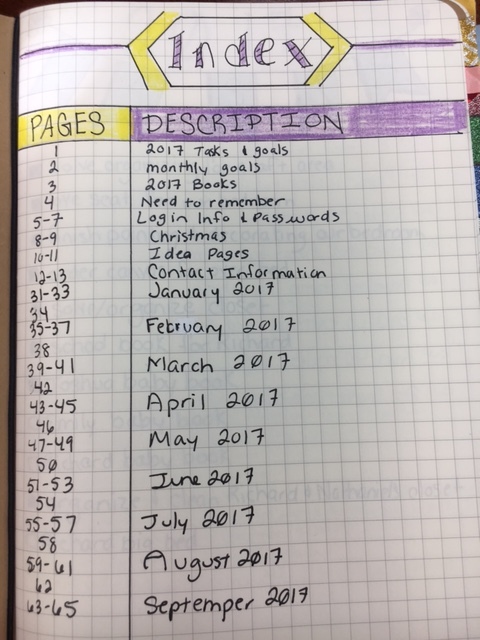 I have my yearly tasks and goals, keep track of the books I have read, I have an ongoing list of things we have bought for Christmas gifts as well as ideas for Christmas gifts, a list of all my log in and password information, basically anything I don’t want to forget gets written down. 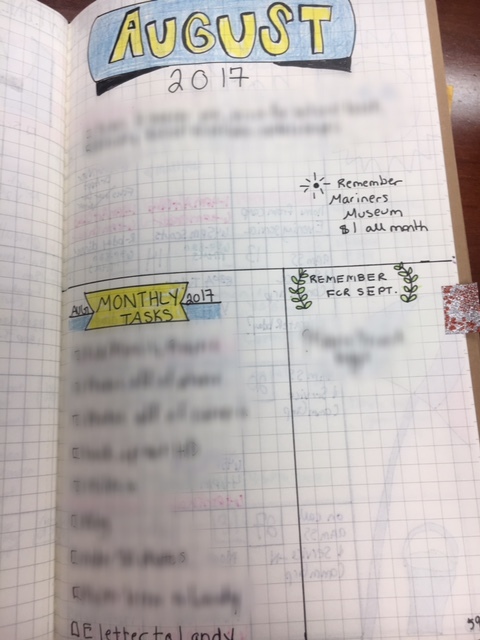 I have a page with tasks/goals things to remember for each month and a monthly calendar. 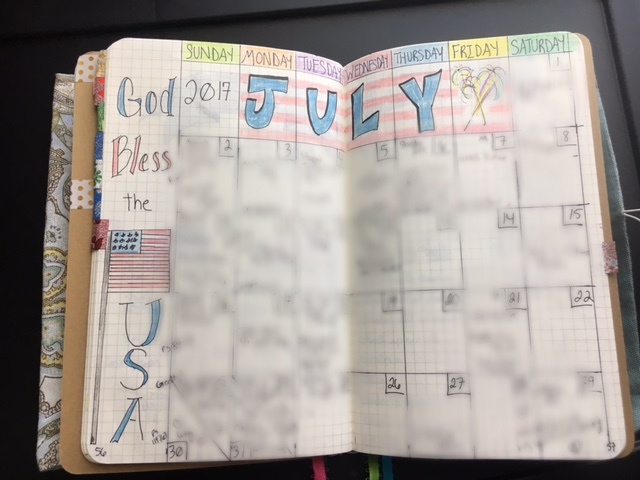 Each month is tabbed with tape. 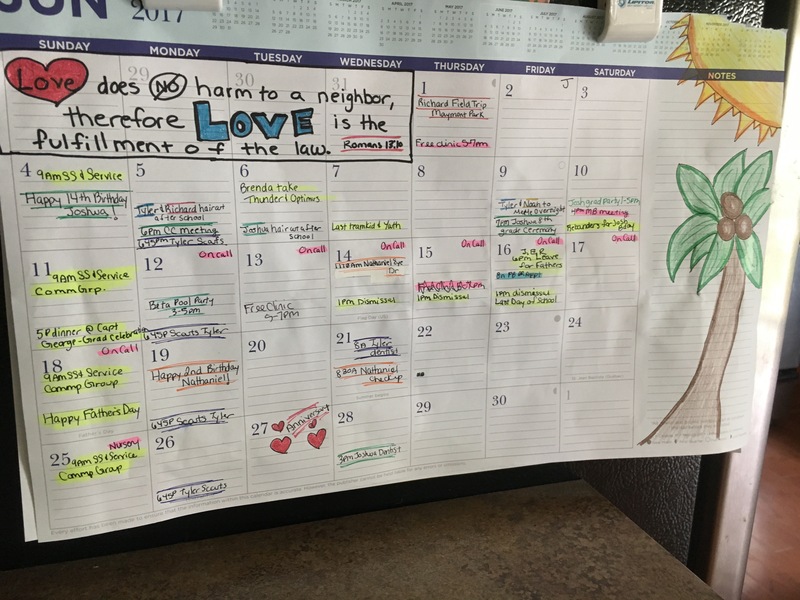 I still keep my online calendar up-to-date, this is something that my husband and I use together. However I still prefer to have a paper calendar to be able to write on so I keep a written one in my yearly book and up date as needed. 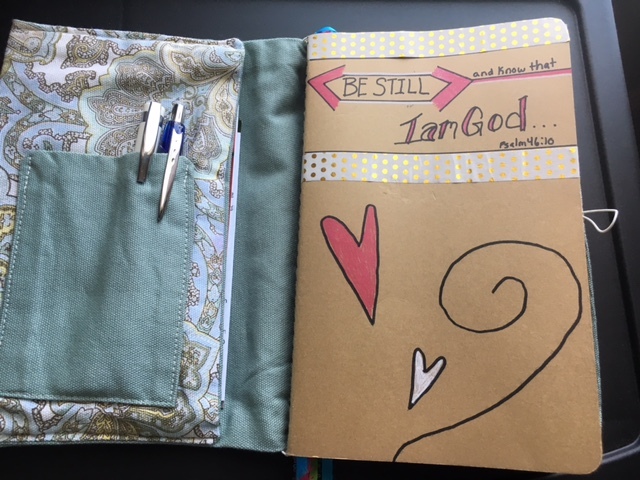 The third notebook is my prayer journal. This is where I can keep my written prayers, for my husband, marriage, children, country, church and for Landy our compassion child. I have this organized by sections so I can keep track of the prayers. I love written prayers, I love being able to look back to weeks, months, years ago and see where my heart was and the ways that God has answered prayers and brought me to where I am today. God s good ALL the time!